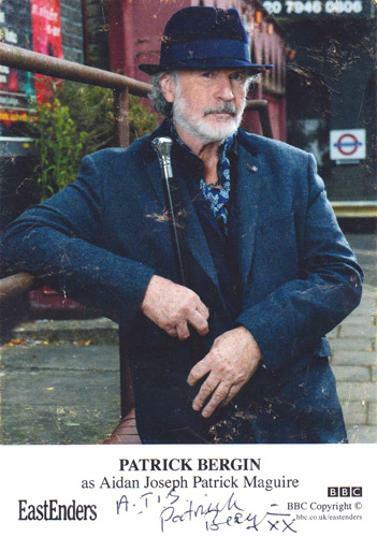 PATRICK BERGIN signed official BBC TV EastEnders character postcard as Aidan Joseph Patrick Maguire. 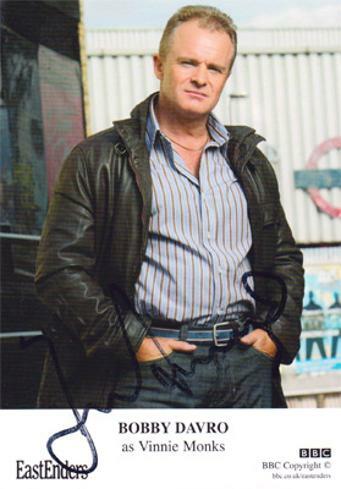 Signed with the note "A 'Tis"
BOBBY DAVRO signed official BBC TV EastEnders character postcard as Vinnie Monks. 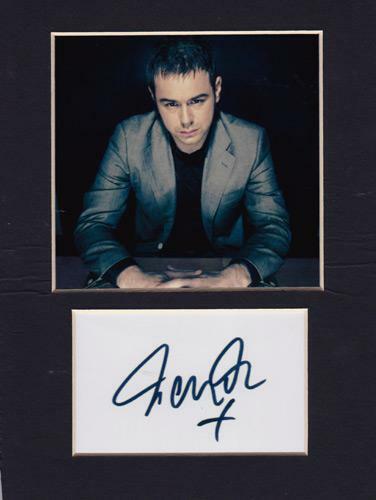 DANNY DYER framed photo montage with 'autographed' card. 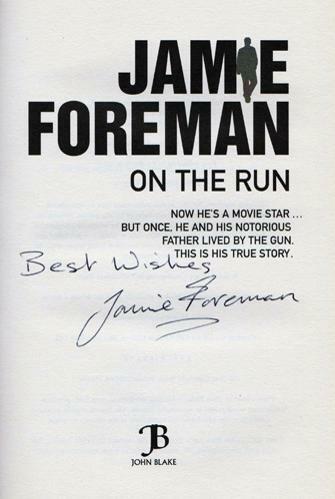 JAMIE FOREMAN signed hardback copy of his autobiography "On the Run" published by John Blake. 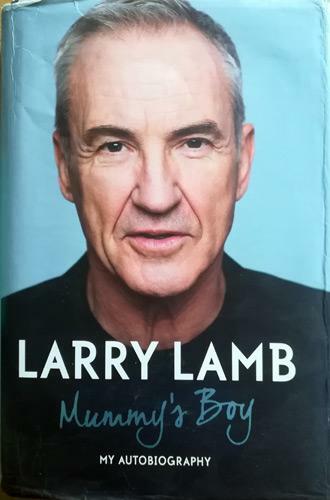 LARRY LAMB signed & dedicated autobiography "Mummy's Boy - My Autobiography" (2011). 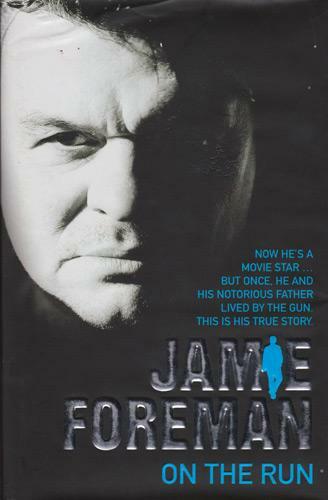 Dust jacket has some minor wear. 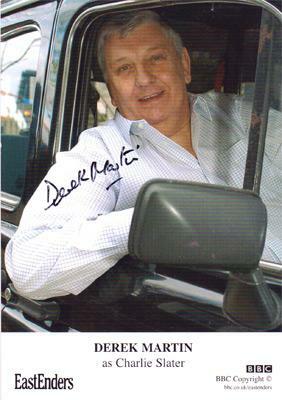 DEREK MARTIN signed official BBC TV EastEnders character postcard as Charlie Slater. 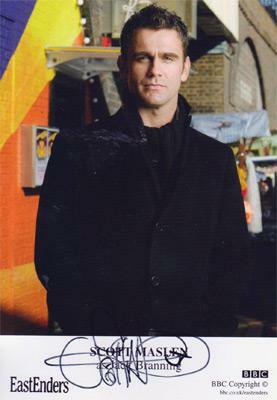 SCOTT MASLEN signed official BBC TV EastEnders character postcard as Jack Branning. 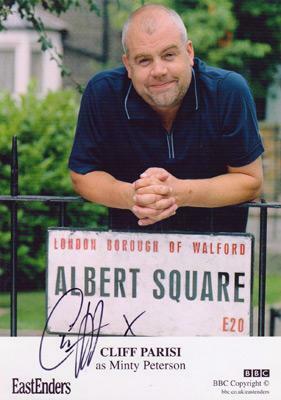 CLIFF PARISI signed official BBC TV EastEnders character postcard as Minty Peterson. 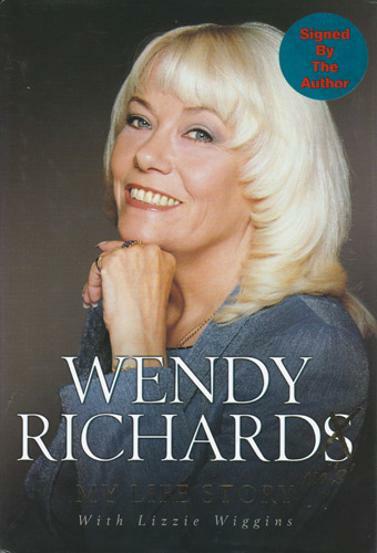 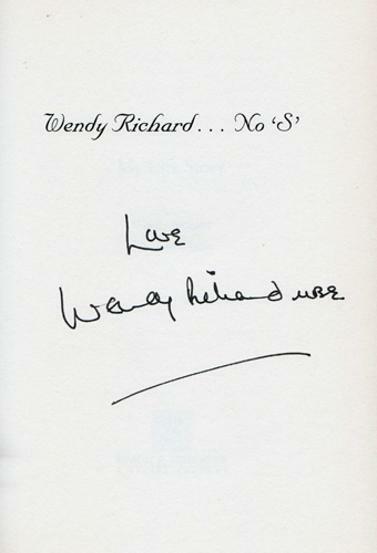 WENDY RICHARD signed autobiography "No S ... My Life Story" (2000). 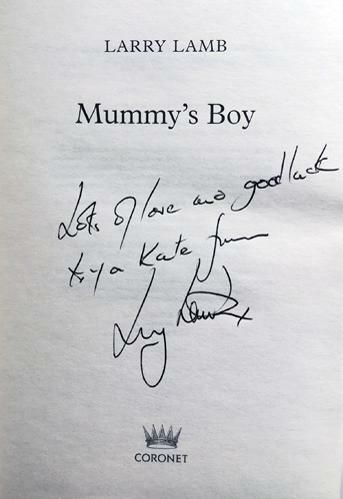 First edition with a "Signed by the Author" sticker on front cover. 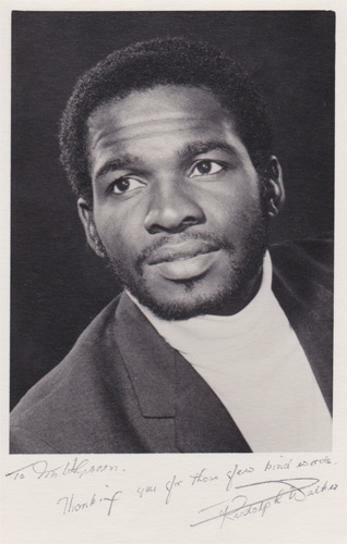 RUDOLPH WALKER signed B&W publicity photo card with hand-written dedication: "To Mr Green, Thanking you for those few kind words." 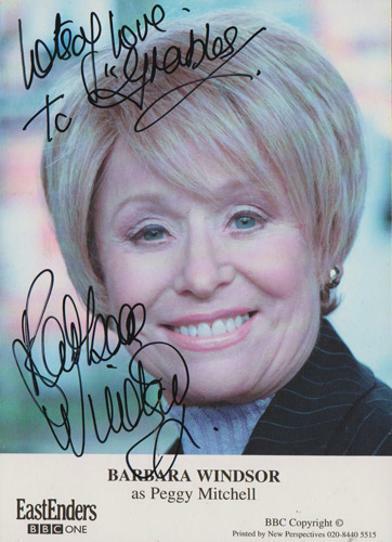 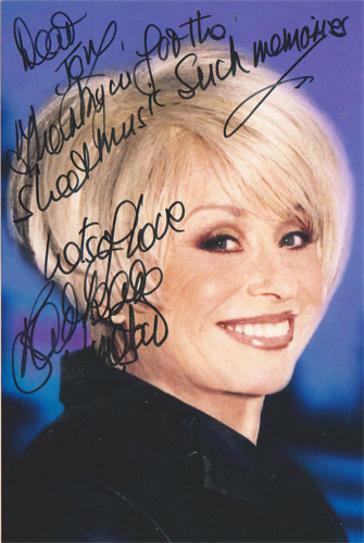 Dame BARBARA WINDSOR signed & dedicated colour photocards - one an official BBC TV Eastenders promo card.